This entry was posted on Saturday, February 21st, 2015 at 9:43 am and is filed under People. 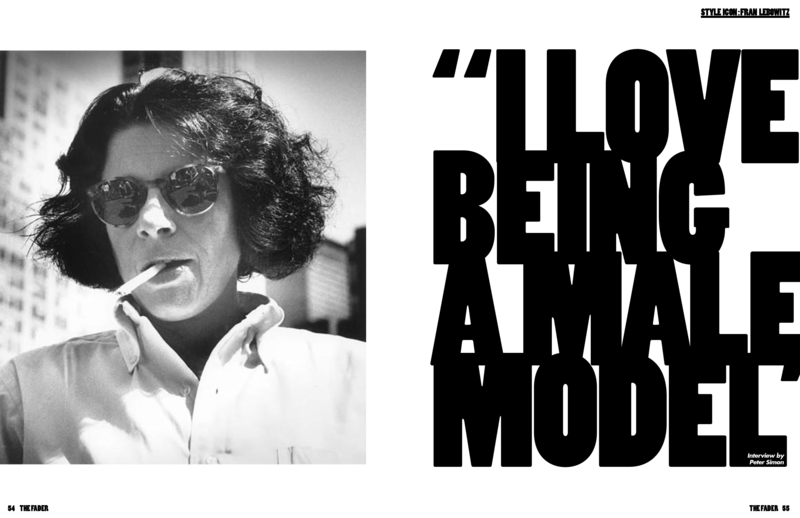 Tagged: 40 Posts in 40 Days, Fran Lebowitz, Homo Things, Humor, Models, New York City, NYC, Style, Writers. You can feed this entry. You can leave a response, or trackback from your own site.